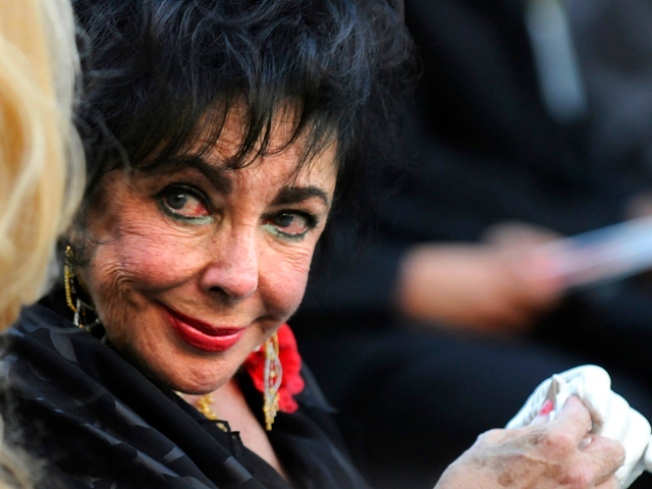 Actress, longtime friend says documentary is "genius"
Elizabeth Taylor said on her Twitter page Friday that the Michael Jackson documentary premiering this week is "brilliant" and that fans should see the film "again and again" to honor the fallen pop star's memory. The film "This Is It," which features rehearsal footage shot while Jackson was preparing for his comeback tour, is "the single most brilliant piece of filmmaking" the star has ever seen, Taylor wrote on her Twitter page. Taylor, 77, is a longtime friend of Jackson's and was one of the celebrities who attended his high-profile Los Angeles funeral. She blasted Tweet after Tweet on the site, writing in some twenty-plus messages how Jackson's new film showed he was a "modern day prophet." The film "cements forever Michael's genius in every aspect of creativity," Taylor said in one post. "I truly believe this film should be nominated in every category conceivable," she wrote in another. Taylor said fans should see the film "again and again" to honor Jackson. "Memorize it and say to yourselves, 'I saw genius in my lifetime,'" she wrote. The actress, who starred in classics like "National Velvet," saw the film last week but was sworn to secrecy until Monday. Jackson died in June at the age of 50. He was set to start a 50-concert comeback tour in London just weeks after his death. "This Is It" opens worldwide Tuesday night.